A train hit claimed the life of a female 9 year old elephant near Tavargatti in Golihalli forest range of Khanapur taluk on Monday. 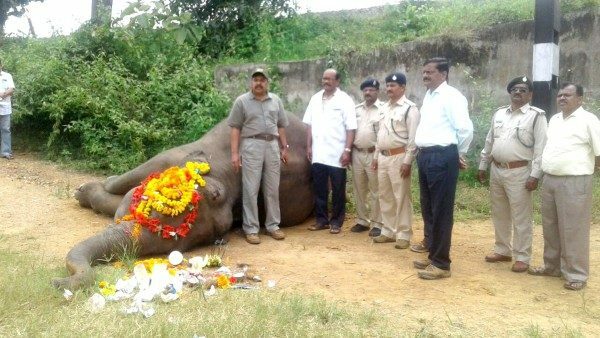 A postmortem was performed by Dr G P Managoli, Assistant Director, Animal Husbandry, Khanapur. In September 2015, an elephant cub was severely injured after being hit by a train in Nagargali forest range of Khanapur. Later it succumbed to its injuries. In January 2016, an Indian Gaur was killed in railway accident near Kerwal village in Londa forest range of Khanapur taluk. Wildlife activists are angry against the failure of the railways to protect the animals and railways must act on priority to save these animals. Ohh so Sad, Might be the future generations will see such Animals only in PICTURES. Where is the BGM-HUbli proposed New Railway Line Project (NH-4)???? The railway department can’t provide safety or protect human beings how can they protect animals.